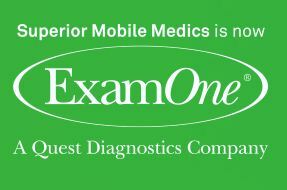 As you know ExamOne has completed the acquisition of Superior Mobile Medics, now known as ExamOne Superior Solutions. We are more than 6 months into the integration and we continue to make great progress. This large integration is ahead of schedule, but there is still more work to be done. We want to thank you for your patience and loyalty during this period. 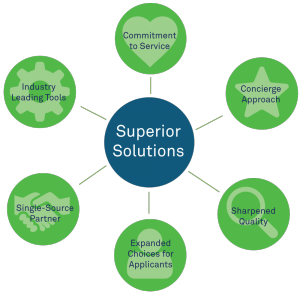 What is ExamOne Superior Solutions? The key service benefit of the Superior Solutions model is a more personalized, high-touch service through one point-of-contact, and now, with ExamOne, applicants have the broadest choice in exam locations, scheduling options and online lab results. Our goal is to continue to exceed your service expectations. To learn more about the benefits of choosing Superior Solutions for your paramedical exams, watch this short video. You will continue to find Superior Solutions at the same website, but with see a few cosmetic updates and new features. We will use the News & Updates section of the website to communicate integration updates and announce when new features and products are added. Our customers and your applicants remain our biggest priority. Applicants now have the option to complete their exam at work, home, or one of our 200 ExamOne paramedical service centers and over 700 Quest Diagnostics® Patient Service Centers. More options have positively impacted exam schedule cycle time. Additionally, applicants can increase their health awareness by reviewing their laboratory results online. Within days of the exam completion date, applicants will receive a notification that their results are available. To our social media friends and followers: we’ve moved! To get the latest news, follow us at ExamOne’s social spots.